Step across the threshold of our 7,000 square foot log mansion and discover the rhythm of a quieter time. 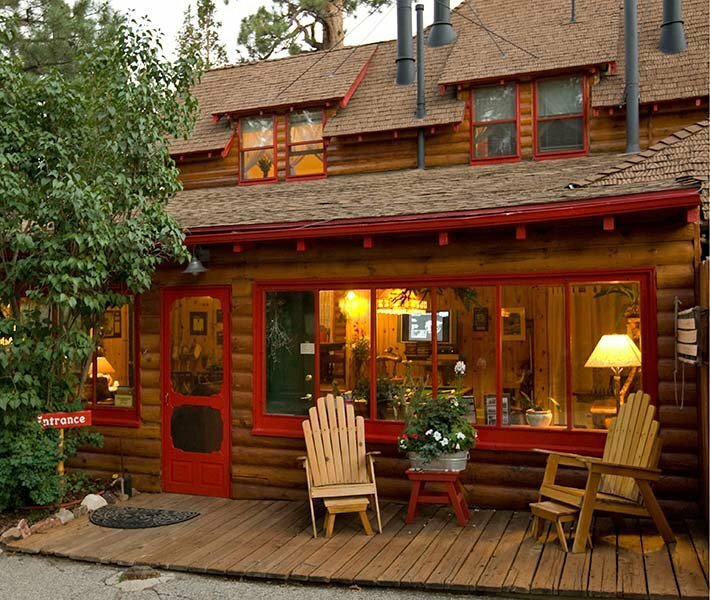 Built in 1928 by Alexander Barret, a wealthy Los Angeles movie investor, and his beloved wife Bessie, this lodging in Big Bear has always been a haven to all who enter. 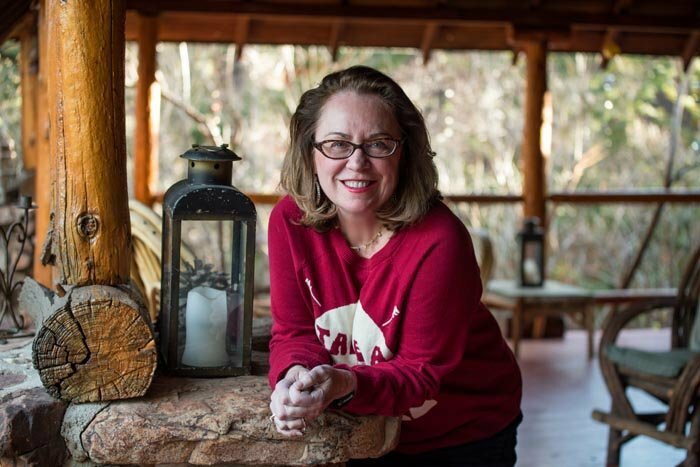 Even today, new owners Betsy and Peter Weinberger carry on the nostalgia of Gold Mountain Manor, providing a refuge for modern-day romance seekers and outdoor adventurers. xperience the Luxury of a Historic Inn with polished maple floors leading visitors into the Manor’s living room and its centerpiece – a giant red quartz rock fireplace. There are plenty of welcoming sofas and overstuffed chairs in our Big Bear inn, and we are there to greet you with tasty goodies after your journey. Delicious enough to inspire you to grab a cup of tea, settle in and sip the day away. An old-fashioned veranda wraps itself around the Manor – furnished with plenty of rockers and comfy settees for an afternoon of reverie. Betsy serves her gourmet breakfast daily, and during warmer months guests enjoy these treats outside on the veranda. elax in Our Elegant Guest Rooms at The Manor. 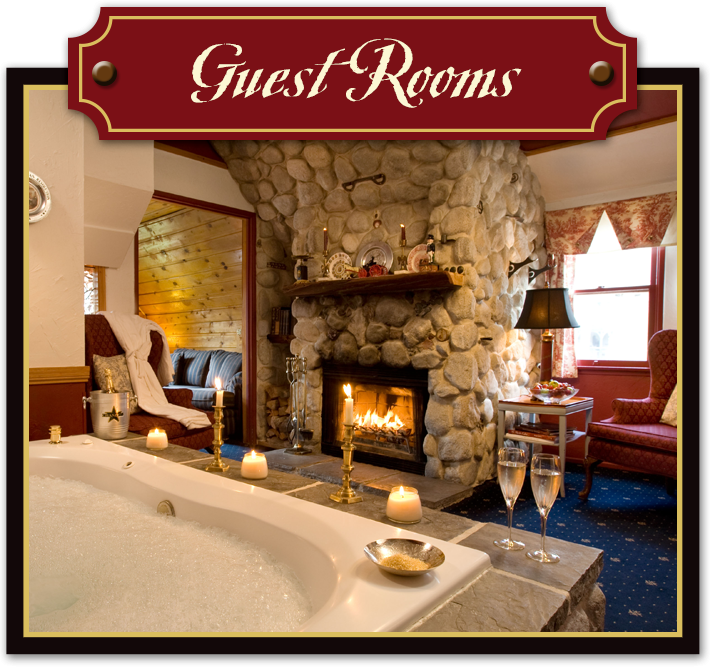 Our Big Bear bed and breakfast offers seven guest rooms, each with private bath, a wood or gas burning fireplace or stove, and queen-sized bed. Some of our suites include a large Jacuzzi tub built for two complete with our homemade milk bath. Enjoy Modern Amenities at Gold Mountain Manor. Common rooms abound and include a great room with billiards, Flat Screen TV/DVD, surround sound, board games, chess and checkers, puzzles, and a library. An excess of windows overlooks an acre covered in Ponderosa and Jeffrey pines. Should you need to keep in touch with the outside world, the entire Manor is wireless and offers complimentary, high-speed Internet access for our guests. ndulge in Homemade Delights with a gourmet and nourishing breakfast prepared from scratch next to an antique wood-burning iron stove embellished with polished brass. As part of your afternoon enjoy the homemade chocolate chip cookies. You’ll also find complimentary hot and cold beverages, sweets and microwave popcorn in our guest kitchen. 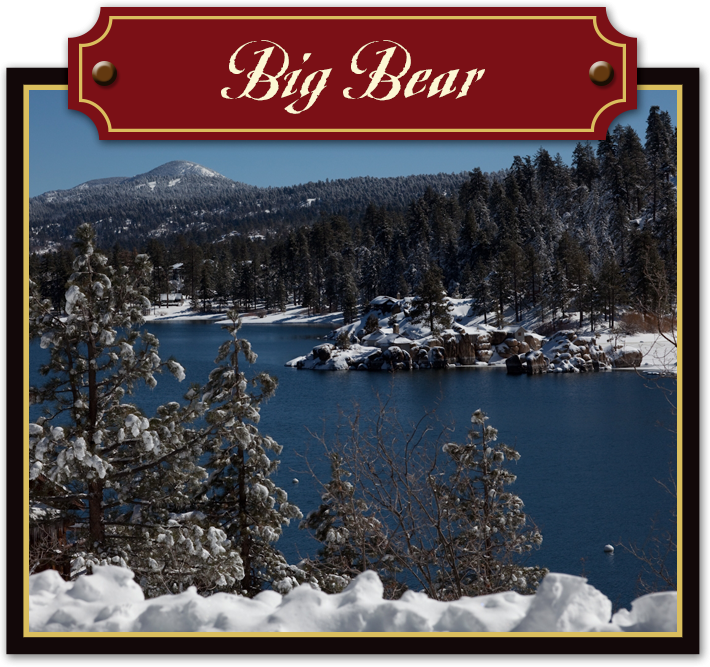 Explore Beautiful Big Bear Lake. 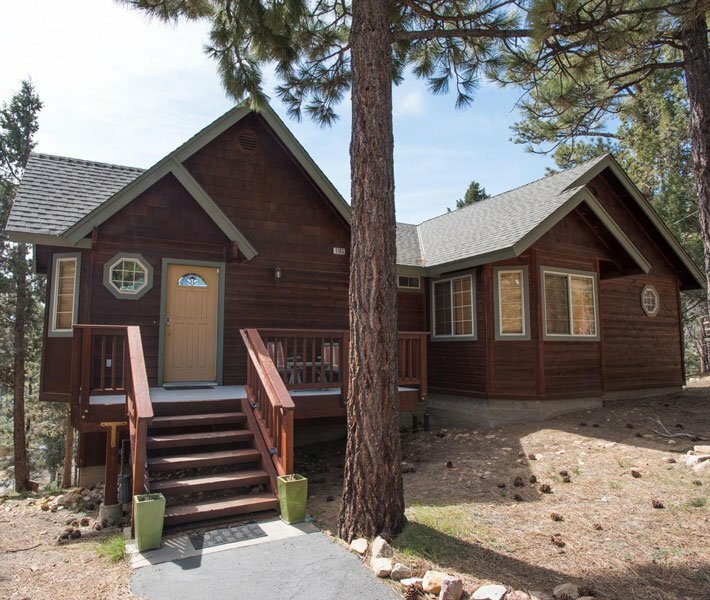 We all look forward to helping you rediscover a quieter time during your Big Bear getaway and planning the kind of classic escape you will talk about for months afterward. 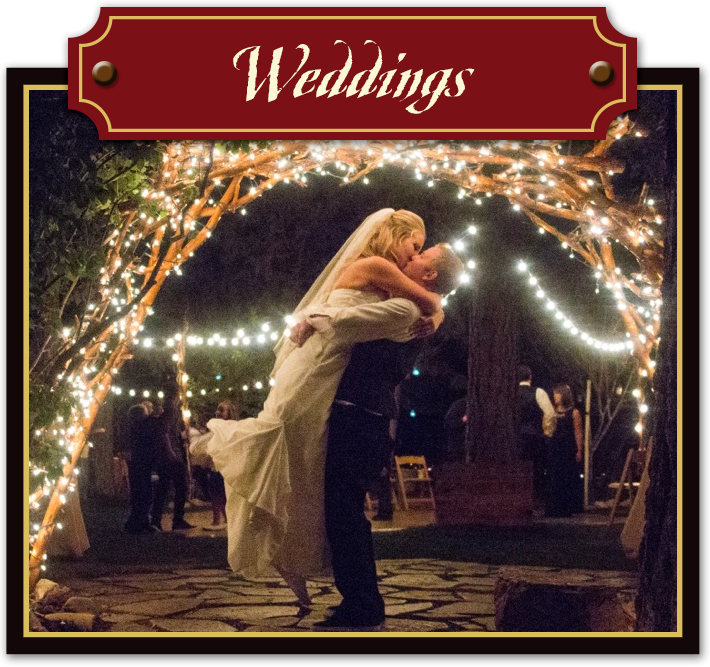 Gold Mountain Manor is a ½ block from the National Forest, 2 miles from Holcomb Valley Gold Mine Trail, 1.5 miles from Big Bear Lake, and minutes to hiking, biking, skiing, boating, horseback riding and fishing. We are located on the quiet north shore of Big Bear Lake only minutes from the hustle and bustle of the south shore.